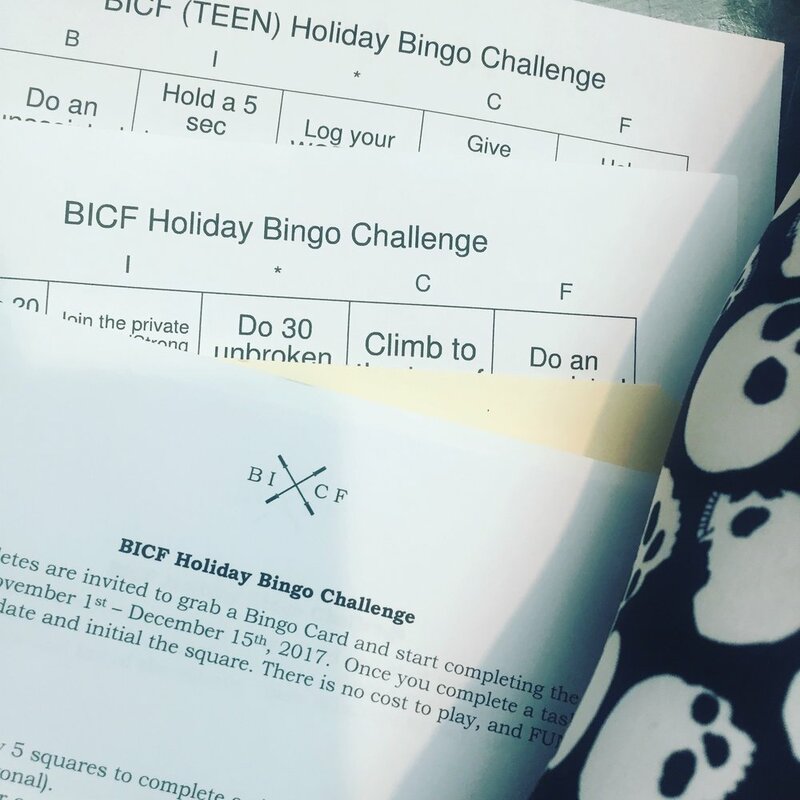 All BICF athletes are invited to stop by the front desk to grab a Bingo Card and start completing tasks from November 1st – December 15th, 2017. Once you complete a task, have a coach date and initial the square. There is no cost to play, and FUN is guaranteed! Connect any 5 squares to complete a single line Bingo (horizontal, vertical, diagonal). Blackout your card (all squares completed) for a Special Prize (to be announced)! Four corners is NOT a bingo in this game. A coach must sign off on a completed square for it to be valid. Each completed Bingo will enter you into a drawing for a prize. You will be responsible for keeping up with your card. Will we have a folder labeled “BINGO” in the file crate next to the sign-in iPad should you want to store it here.